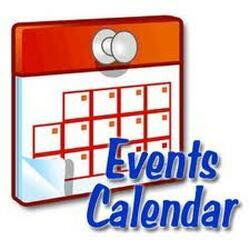 Calendar of Events - TAILS Foundation Inc & PETwork Society! Check out what's happening in your neck of the woods! If you know of any other event happening in the Inland Northwest that is not listed, let us know! All listings in this calendar are FREE!! Education classes about pet responsibility, bonding, and more! Welcome to the Inland Northwest!! Coeur d'Alene really is very dog-friendly, which is why we were named Dog Town USA in Dog Fancy Magazine in 2011. We have some great dog-related events in town such as Dog d'Alene, AJ's Tails & Trails, Leashes & Laces and so much more, including three dog parks--something that's nearly unheard of in a town our size! But, there are more pets here than dogs!! Cats, of course, are the second leading companion animal out here, followed by pocket-pets (guinea pigs, hamsters, ferrets, etc). We have resources for just about any critter- farm animals, exotics and more...just click on the Business Directory, and you will be directed to services of your choice!